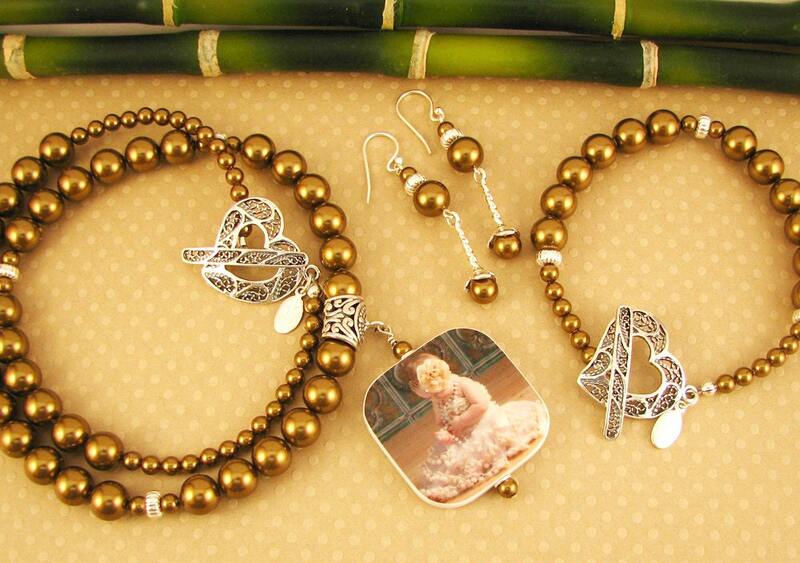 This is a beautiful brass colored Swarovski crystal pearl set; however you may order the set with your favorite pearl color from the chart above. Choose a color to match your favorite image. 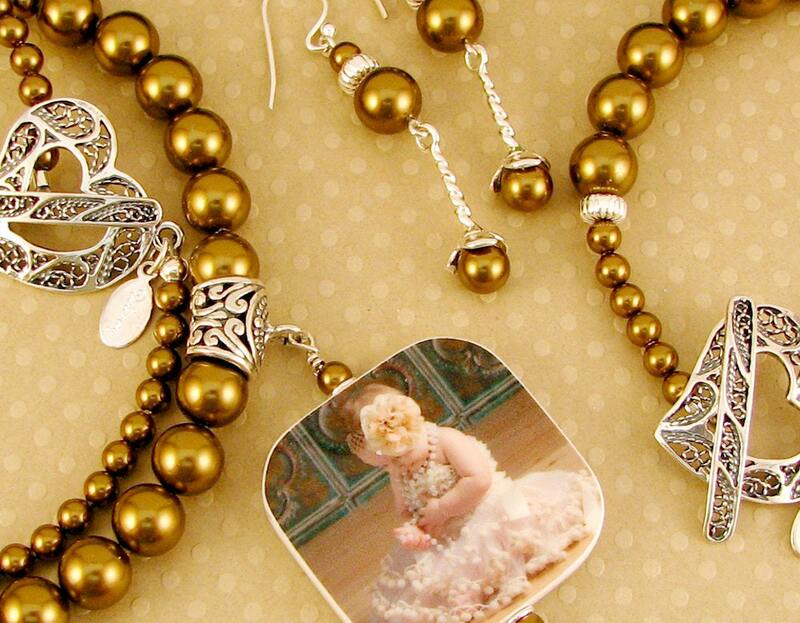 This set includes a necklace that can be ordered between 16 and 20 inches. 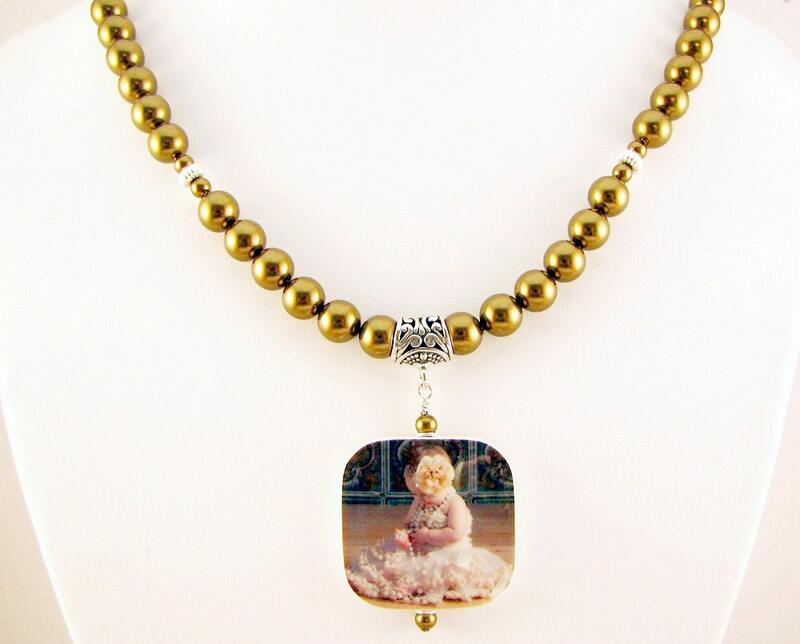 It comes with a beautiful sterling filigree heart toggle clasp that makes a statement all on it's own, and a large (1.25" X 1.25") two-sided photo pendant, so you may have a second image or request a text side to to be designed for the back. 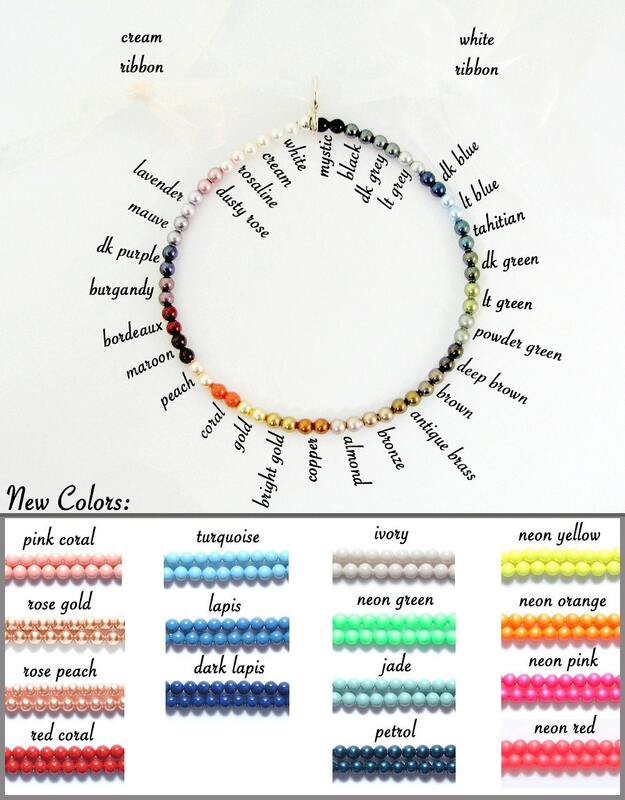 The bracelet may be ordered between 6 and 8 inches. The earrings have a pearl blossom on a dangling sterling stem and sterling hooks.